This 3 piece Scoville saucepan set (16, 18, 20cm) is perfect for spicing up your cookware. 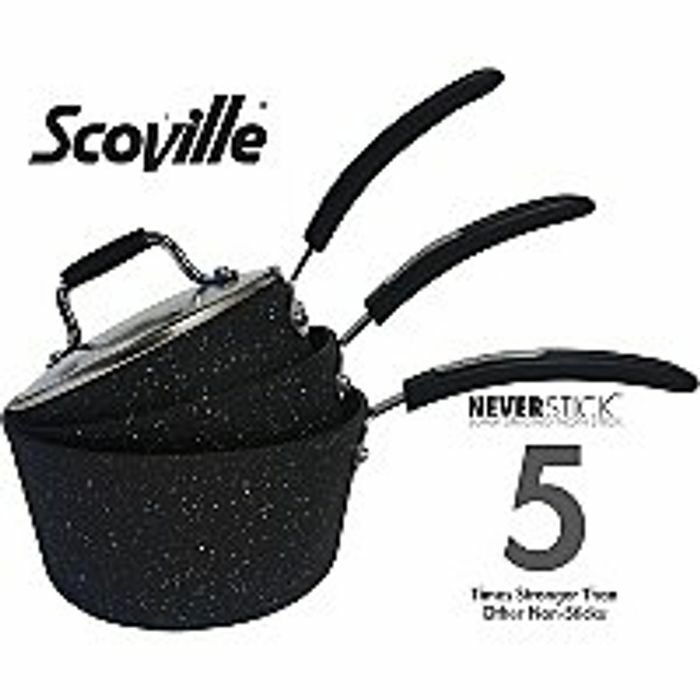 Scoville changes the way you cook by featuring Neverstick, the latest innovation in non-stick technologies. Thanks to our carefully engineered toughening system, we proudly produce truly non-stick cookware that's made to last and is 5 times stronger than other non-stick products. Neverstick lets you cook without butter, fats and oil without food sticking to the pan, making washing-up easier too!